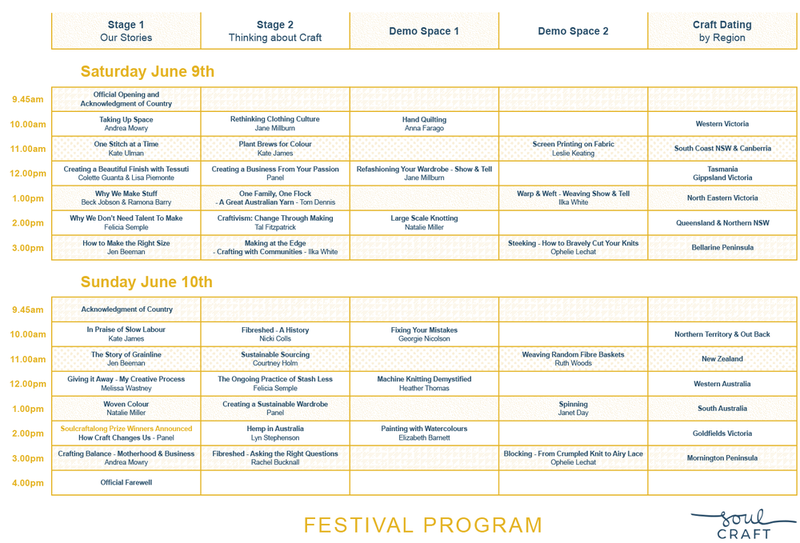 Soul Craft Festival is an all-inclusive program of scheduled (and unscheduled) events over two beautiful days next June - with a scheduled Festival Program of speakers, demonstrations, and meet ups. For full descriptions of the scheduled Festival Program go here. The only thing not included in a Festival Day Pass is the Masterclasses. The full Masterclass program can be found here. Stage One and Stage Two are where we will be showcasing our speaker series with each talk running for approx 45 minutes. Our demonstration space will have ongoing demonstrations all weekend. There are also opportunities to meet other crafters from your regional area by simply turning up at our "Craft Dating By Area" space.